The “Big Four” leaders of the House Transportation & Infrastructure (T&I) Committee, and the Senate Environment & Public Works (EPW) Committee, each wrote exclusive guest columns for the January-February issue of ARTBA’s “Transportation Builder” magazine. We are reproducing these columns in Newsline. 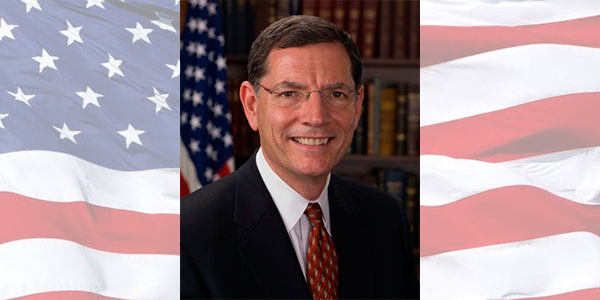 Sen. John Barrasso is chairman of the Senate Committee on Environment and Public Works. America’s roads, bridges, dams and water systems are about to get a much-needed boost. As chairman of the Senate Committee on Environment and Public Works, I am committed to making sure we do it the best way possible to improve lives and protect families. Across the country our aging infrastructure is threatening public safety and hampering economic development. Too often, Washington makes decisions based on its own priorities and its own ideas about how things must be done. Federal dollars do not make their way to rural parts of the country. We need to find new ways to address these long neglected public works. Just look at my home state of Wyoming. Tribal, local, and state governments all worked together to fix one of the most dangerous roads in the state. A notorious stretch of highway known as 17 Mile Road finally got the upgrades and maintenance it so badly needed. The construction project straightened, widened, and paved the road. It provided an economic boost for local businesses and peace of mind for travelers. The initiative on 17 Mile Road is a great example of how we should approach these projects. Last Congress, Democrats and Republicans on the Senate Environment and Public Works Committee worked together to pass the first longterm highway bill in a decade. This important law included provisions that I introduced to help Native American tribes maintain roads on their lands. The Tribal Infrastructure and Roads Enhancement and Safety (TIRES) Act increased funding for safety projects. It also reduced bureaucratic fees that Washington charges tribes working on these projects. Nationwide, just 17 percent of tribal roads are deemed acceptable by the U.S. Bureau of Indian Affairs. Something had to be done. The TIRES Act was based on feedback from tribes and state officials, who had innovative ideas on how to advance road safety. This is a model I want to replicate. We also passed important legislation to prioritize dam, waterway, and port construction. These were good first steps, and there is more we can do to develop our Nation’s water infrastructure. Across all building projects, the committee will work to remove punishing regulations from Washington that limit economic growth. Bureaucrats shouldn’t just use a top-down, one size-fits-all approach. We need to be smarter about these rules and more aware of the effect they have. Rebuilding our Nation’s highways is a top priority that I share with the new administration. President Donald Trump has talked at length about upgrading our Nation’s aging infrastructure. The projects he’s talked about would create jobs and strengthen America’s economy. They will expand opportunities for businesses by allowing products to reach markets more quickly and safely. I am ready to work with the new administration to examine our infrastructure priorities and find fiscally responsible ways to start building. This should not be a question of Democrats or Republicans. We all purchase goods that are transported on our Nation’s roads. We all travel on them with our families. Safer roads are a pathway to more prosperous America. I will work closely with our committee’s ranking Democrat, Tom Carper, and all the members of our committee, to make infrastructure improvements a priority. I also plan to work with the men and women who plan, build, and maintain our roads and water systems. Together we can find the best answers to our Nation’s infrastructure questions. That’s how the repairs on the 17 Mile Road became a reality in Wyoming, and it’s how we’ll improve our Nation’s infrastructure for all Americans.